Android is one of the leading mobile software platforms in the world market. It includes not only operating system, but also middleware and key applications. 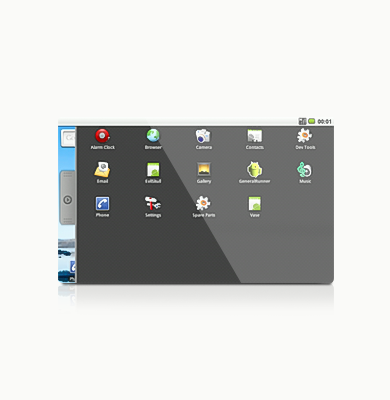 Android OS is based on a modified version of the Linux kernel. New versions of this operating system are released by Google and other members of the Open Handset Alliance. Maintenance and further development of Android is carried outby The Android Open Source Project (AOSP). Promwad Innovation Company has a special division Promwad Mobile which is responsible for developing Android mobile apps for cell phones, tablet computers, ebook readers, car navigation systems and other multimedia devices. Android mobile application developers primarily use the Java language, controlling the device via Google-developed Java libraries (Android SDK). Java bytecode is converted into own Android bytecode format called dex, which is executed by Dalvik virtual machine. Do you need help with programming mobile applications for Android? Contact us. We will answer your questions.